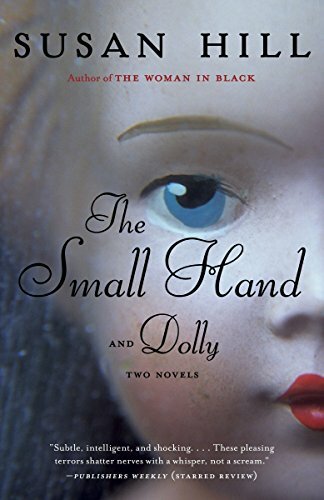 These two novellas by Susan Hill, The Small Hand and Dolly, come packaged in one volume by Vintage Books. Susan Hill is the author of The Woman in Black, and also of a series of police procedurals. I generally enjoy her ghost stories, but I think I prefer The Woman in Black, which is a full-length novel, to these two. All are the type of ghost story I love: English setting and not extremely shocking or gory. These two, while nicely atmospheric, are perhaps a little too tame even for me. Worth a read, though, if you like the type. Ghost stories, now there's a genre I never read! The Woman in Black sounds good. I read it is soon to be made into a film version! Haha, it was made into a film a couple of years ago, starring Daniel Radcliffe (Harry Potter)! It's also a long-running stage play, which the kids and I saw in London last June. Lots of fun. I just found out that there is a sequel to the original The Woman in Black movie in production, to be released in 2014. That must be what you heard about.